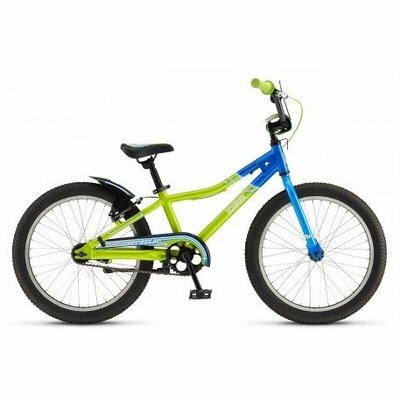 The 2016 Schwinn Aerostar is a kid's bike. Intended for experienced riders, the Aerostar has an intuitive setup, including a single gear, coaster, and hand brakes. Comfortable and accessible, with a low standover height, upright seating, a highrise bar with padded grips, and a slightly back seat, enhancing riding stability. The go-anywhere fat treaded tires won't splash the rider, thanks to a chainguard and short rear fender. 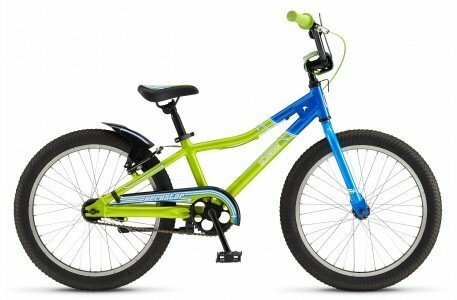 A good 20" kid's bike.